The Downhill Racer was wearing a blue Patagonia vest and wraparound shades, and his mane of blonde hair shook as he negotiated the firm bumps on Badlands with measurable grace, his marquee smile visible 50 yards away. 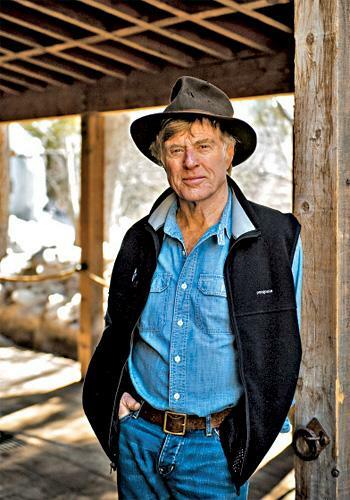 “Sundance is about skiing that’s as unfettered as possible,” Robert Redford explained when he stopped. His face may be a relief map of his 72 years, but Redford is still strikingly handsome, with eyes like the blue sky over Mt. Timpanogos. You can read the rest of my profile of Robert Redford and Sundance Resort at Ski.